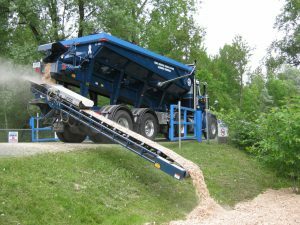 AIR MILES® Reward Miles Promo | Greely Sand & Gravel Inc.
Get AIR MILES® Reward Miles* with Greely Sand & Gravel Inc. Proud to be part of Canada’s largest coalition loyalty program, Greely Sand & Gravel Inc. is now a Promotional Sponsor in the AIR MILES® Reward Program! The AIR MILES® Reward Program is a shopping rewards program that enables Canadians to earn AIR MILES® Reward Miles by making everyday purchases at a variety of participating Sponsors. It’s free for collectors to participate, and Miles can be redeemed for a wide variety of rewards. See www.airmiles.ca to learn more. I don't have an AIR MILES® Collector Card, how do I sign up? To enroll in the AIR MILES® Reward Program, visit www.airmiles.ca and complete the enrollment form. 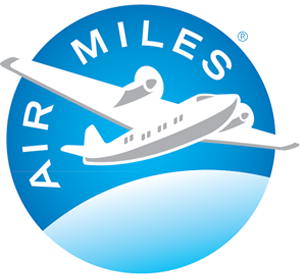 You will receive your AIR MILES® Collector Card Number immediately and may begin collecting Miles. 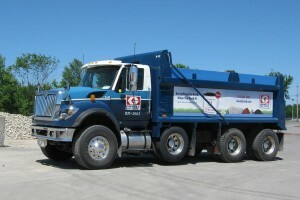 How can I get Miles at Greely Sand & Gravel Inc? At the time of ordering, provide your AIR MILES® Collector Number and get Miles on the delivery service of landscape materials purchased at Greely Sand & Gravel Inc. Offer is limited to one per purchase. 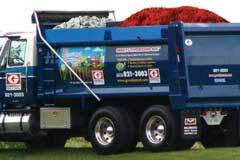 All offers exclude landscape products picked up at landscape depots and purchases of gift cards. Available only to homeowners. Other exclusions may apply. 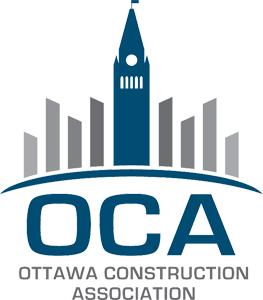 Call the office at 613-821-3003 for details. 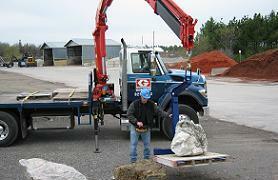 How many Miles can I get at Greely Sand & Gravel Inc? I don't have my AIR MILES® Collector Card when I placed my order. Can I call to have my Miles applied to a previous purchase? Yes, but you must call within 3 business days of the date of delivery in order to have your Miles applied to a previous purchase. 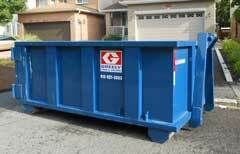 I shopped at Greely Sand & Gravel Inc. but haven't received my Miles yet. When will they be posted to my Collector Account? Generally, Miles earned at Greely Sand & Gravel Inc. will be posted to your Collector Account within 30 days of purchase. For any questions, contact AIR MILES® Customer Care at www.airmiles.ca or 1-888-AIR-MILES. How do I check my AIR MILES® Account balances? You may view your AIR MILES® Account balances anytime at www.airmiles.ca or by calling AIR MILES® Customer Care directly at 1-888- AIR-MILES. I have additional questions about the AIR MILES® Reward Program. What do I do? Please contact AIR MILES® Customer Care at 1-888-AIR-MILES or visit www.airmiles.ca to learn more.